There are many benefits to socialising your children from a young age, and there is plenty of detailed information on the subject that you can read. As well as having the motor skills to be able to look after themselves doing tasks such as washing, brushing their teeth and so on, it is also important that they learn to interact in a social environment. A child is often not put in many situations before they attend a school of having to interact with a large group of a similar age, but the school environment will often bring the shyest of kids out of their shell if only a little bit. The earlier your child socialises with others, the better for their long-term futures. The lessons that a child learns at a young age will help to shape them for when they are adults, which is why it is important to teach them values at a young age. When a young child learns about friendship, how to share, tolerance, humility and respect, they will take these values on throughout their lives and help to make them productive members of society. You will need to choose your nursery carefully and do plenty of research before committing your child. If you are asking yourself: “how to find the best child care options near me”, a search using the internet and your favourite browser will show all of the local day care facilities close to your home, and you can visit each school to observe how the children behave and interact. Watching the children in both free time and class time will give you a real insight into the social levels of the children at the nursery and should help you to decide which one will be best for your child. Children can develop and adapt quickly when submitted to a social environment, and by the age of two, they will be able to engage with others and start to play with them. As they grow their social skills, improve as does their imaginations, and by the age of three, a child will often play very creatively with other children. Although at this age, it is also common for them to not be used to sharing, which can see some tantrums. By the age of four children are much more used to social groups, and even start to have their little groups within the class. By this age, they are much more used to sharing with others. 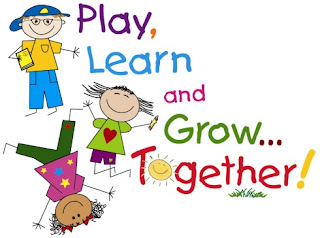 One of the best ways for children to learn how to socialise together is through the use of activities which are both fun and entertaining. Whether a child is into music, art, sports, or maths, the right activities can help develop and nurture your child and allow them to fulfil their potential. Make sure that you choose your day care for your child well, and ensure that you give your kid the best start in life possible.